The Bachelor 2015 spoilers tease that Season 19 of the ABC reality TV show will kick off on Monday January 5 2015 with their season premiere, episode 1. Spoilers were leaked months ago revealing that Andi Dorfman’s third runner up, Chris Soules, AKA “Famer Chris,” would be ABC’s 2015 Bachelor. Judging from the sneak peeks and promo videos that The Bachelor producers have been releasing – it looks like they are taking the farmer theme and running with it, rumor has it that instead of an exotic island they actually filmed the Season 19 finale on a farm. But hey, after the Juan Pablo debacle last year – there is no place for The Bachelor to go but up. Episode 1 of the 2015 season of The Bachelor will kick off like every season in the past – with two hours of excruciatingly awkward introductions. The bachelorettes vying for Chris Soules’s heart will climb out of their limos one at a time with bizarre gifts and quirky antidotes. All in hopes that The Bachelor will remember their name, and of course making the most of their five minutes of fame because there is a good chance they will be sent home before the night is even over. 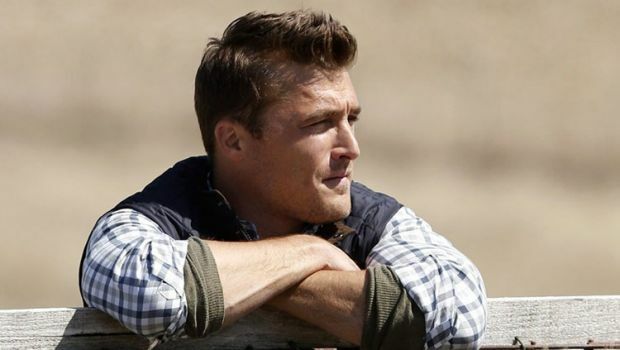 According to The Bachelor spoilers Season 19 of The Bachelor will feature a record-breaking thirty girls for Chris Soules to meet during Episode 1. In the Episode 1 spoiler video for The Bachelor 2015 premiere, women begin arriving at the Bachelor Mansion dressed in ball gowns and “search for their Prince Farming.” (Like we told you, they are taking the farming theme and running it in to the ground this year). One woman gushes to Chris that if he wasn’t The Bachelor – she wouldn’t have joined the show. While another contestant takes a more aggressive route and informs Chris that he “can plow her field any day.” Here’s to hoping she doesn’t get eliminated during Episode 1, because she sounds like she could definitely make Season 19 interesting. So Bachelor fans, are you excited for the premiere on January 5th? Do you think Chris Soules will make an entertaining Bachelor, or should they have chosen a different guy from Andi Dorfman’s season? On a scale of 1-10, how over the farmer jokes are you already? Let us know what you think in the comments below and don’t forget to check CDL tomorrow for more The Bachelor 2015 spoilers. If you want to know who won The Bachelor 2015 click here!